This all-suites hotel is perfect for the single business traveler. Oversized workstations give you an office away from the office. The premium bedding makes for a good night’s sleep and the free hot breakfast will get your day started right. Located just off of I-90 and close to the airport, it’s easily accessed whether you are driving or flying. Conveniently located in the middle of town, you can reach any area within a few short minutes. If you do bring the family, this hotel has a great indoor pool, restaurants close by and it’s a quick jaunt to hiking, biking or Bridger Bowl ski area. For meetings or events, the 300 square foot space can accommodate mid-sized groups. Plus, breakfast here is cooked to order! 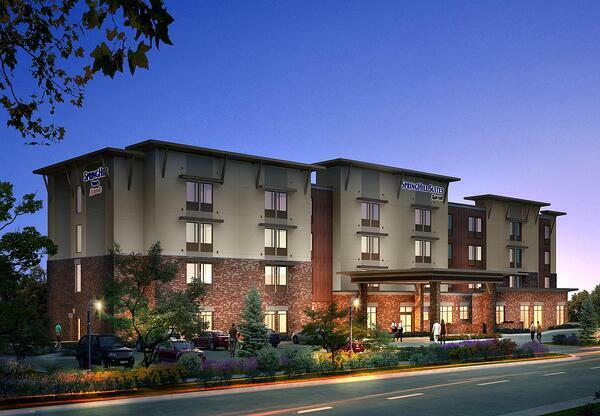 The Springhill Suites is a brand-name hotel custom built for Bozeman. These studios are semi-divided to give you room between the living and sleeping space. During the summer months, enjoy evenings around the fire pit in the large courtyard. Gallatin’s, an in-house lounge, serves craft, domestic and imported beer, wine and small bites. 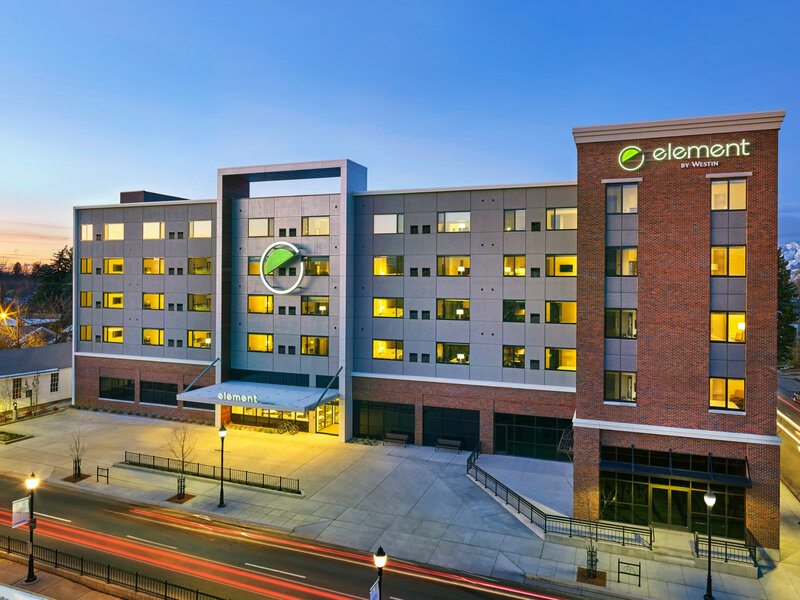 Located one block from Main Street, this modern hotel has a state-of-the-art fitness center, healthy food options and bright, open public spaces to relax outside of your room. Suites have fully equipped kitchens, but we highly recommend exploring the plethora of dining options in downtown Bozeman. Built for extended stays, My Place Hotel offers a great room at a reasonable price. Perfect for those who want a quiet space, rooms include a cooktop, microwave, and full refrigerator. The 24-hour My Store is stocked with all the essentials (even cookware)! And the on-site laundry facility makes it easy for those staying long periods of time. If your business brings you to Bozeman for an extended amount of time these hotels are great options. For a full list of hotels, check out the lodging in Bozeman.